Providing the San Antonio area with professional, fast and eco-friendly junk removal services. When it comes to the ultimate way of staying cool in San Antonio this summer there are two words that spring to mind: water park. Most of the locals have already discovered the benefits of spending the day at such a nearby world-class attractions such as Six Flags. Just on the northwest outskirts of town at Six Flags there is a Texas sized and shaped wave pool and plenty of winding waterslides. Heading west from the city you’ll find the Seaworld Aquatica water park they opened for business just this year. This is a state-of-the-art water park that features multiple waterslides and underwater rides all in a lush tropical setting. Visitors can even cool off among herds of brown stingrays but don’t worry these are the nonlethal kind! Towards the east is Splashtown which also has multiple water rides, wave pools and some really fast slides. While these water parks are great diversions it’s not like you can move in and take up residence. Most of the time you’ll be stuck your own home or apartment looking for less intense ways to stay cool. It’s important to stay hydrated by drinking plenty of fluids whether you’re indoors or outdoors. It’s recommended that when the thermometer goes up you should stay indoors with the air conditioning auditioning flowing. 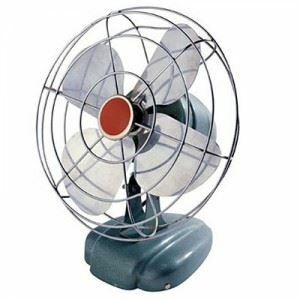 If you don’t have AC, then being close to a circulating fan can do the trick. What might be standing in your way of having a complete cool down experience is whether or not that cool air can be properly circulated in your own home. In other words, if you’ve got a lot of clutter you’re not going to catch a breeze! To maximize the airflow you need to minimize your junk. It might seem counter-intuitive to take on a labor-intensive project like cleaning the junk out of your home when it is sweltering outside. Actually, it’s the perfect time for that kind of assignment especially if you hire Junk King San Antonio. Junk King is the San Antonio base business’s mission is to clear out any home, apartment or business. What’s great about working with Junk King is that they’ll do all the heavy lifting. You could literally stay in a chair in front of your AC while directing the Junk King crew to remove whatever you want taken away. In other words, let them break a sweat! A Junk King crew will make all the necessary trips up and down stairs, in and out of garage and to and fro your backyard in order to accomplish the task of getting rid of your junk. You won’t have to worry about paying by the hour for this type of service. Instead you’ll pay a terrific rate based on the amount of space you take up in the truck. Once your junk has been removed you’ll be amazed at how much better the cool air can move around your home. Of course, you can still go to the water park just know that you’ll be coming home to a clutter free zone! This entry was posted in Junk King San Antonio, San Antonio Junk Pickup, San Antonio Junk Removal and tagged san antonio clutter, san antonio hauling, san antonio heat wave, San Antonio Junk Removal on July 17, 2012 by Mike Hasselbalch. Last updated August 2, 2017 .